During our time helping to promote the "Healthier Pets, Happier Lives" Campaign with Hill's Science Diet, we've already share some important tips to have healthy, happy pets. Keeping your pet healthy includes visiting the veterinarian regularly and choosing a healthy diet. Keeping your pet's body healthy and nourished is pretty important, but what about their mental state? You can keep your pet's body in tip-top shape, but what good is that if they never have any fun? That's where the little extras come in. There are lots of ways to show your pet you care about them and keep them happy. Don't just get healthy, get happy too and be sure to have some fun everyday! 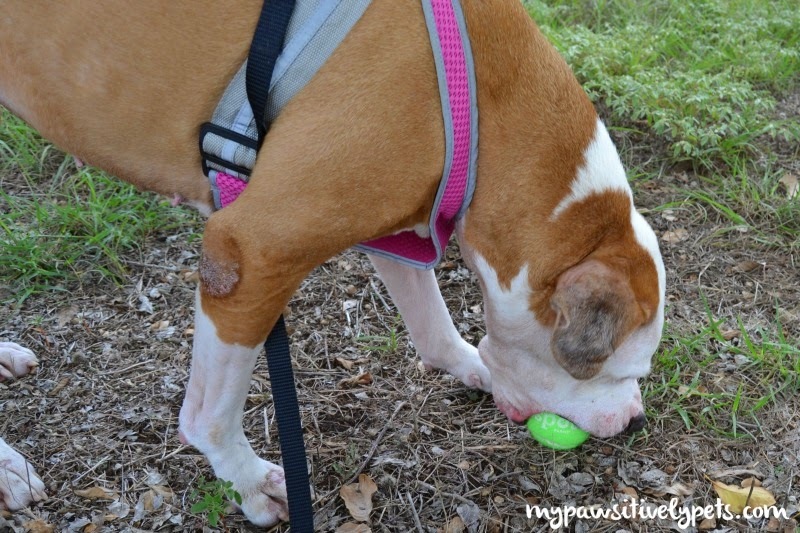 One of the easiest ways to play with your pet is with toys. My dog, Shiner, loves playing with her toys and she has a few favorites. She has an interactive puzzle feeder toy that stimulates her mind. She also has lots of chew toys which are great for her teeth and give her physical stimulation. Shiner's not so great at fetch, because she never returns her toys but she sure does enjoy chasing after a tennis ball. Playing fetch with your dog is great exercise - for both of you. Dogs aren't the only ones that like to play. Cats enjoy playtime too and you should try stimulating their predatory instincts with things like toy mice and feather wand toys. You should try to schedule playtime with your cat a couple of times a day. You should always avoid toys that have small parts that could be easily swallowed and monitor your pet when they are playing with their toys. Toys that squeak or make noise are great for mental stimulation. Rotating your pet's toys is a good way to keep them from becoming bored of them easily. Treats are an easy, tasty, and fun way to reinforce good behavior with your pet during training sessions. Who doesn't enjoy a tasty treat every now and then, right? Hill's Science Diet offers a variety of cat treats and dog treats that feature balanced nutrition so pet parents can feel good about feeding the to their pets. Are you sure I'm not a cat? Shiner's personal favorite are Hill's Science Diet Jerky Strips. Don't worry kitties, they've got treats for you too. 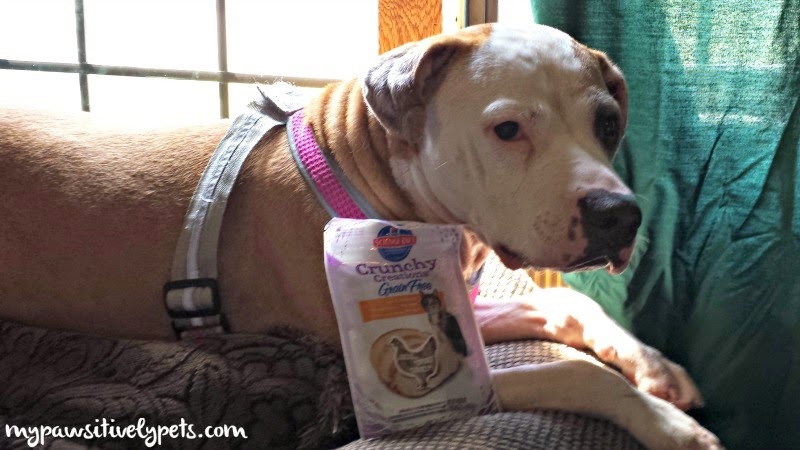 Although Shiner has never personally tasted them, she thinks these Hill's Science Diet Crunchy Creations Grain Free with Chicken cat treats look pretty scrumptious. Proper grooming and care for your pet's skin and coat is essential. Did you know that your pet's skin is the largest organ of their body? And all that fur growing from your pet's skin needs to be brushed on a regular basis to keep it clean and free of tangles. Bear is a family Sheltie and requires lots of grooming - look at all that fur! Shiner is a short haired dog, so maintenance of her fur is very easy. For dogs and cats with long fur (like Bear, pictured above), daily brushing will help keep it clean and reduce hairballs. For easier grooming sessions later on in life, start brushing your pet at a young age when possible to help them become used to the process. Collars are a nice way to keep your pet looking dapper but they are also good at keeping them safe. 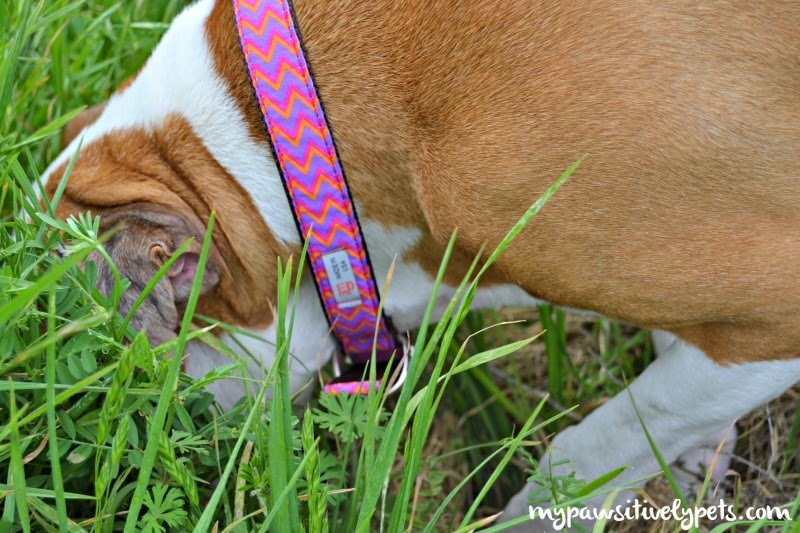 Shiner wears a collar with her name, address, and phone number on it. If she ever became lost, it would help with me finding her again. One of Shiner's fancy collars. Another way to have happy pets is by providing them with a comfortable place to sleep. Just like sleep is important for you and I, it's also important for our pets. While Shiner typically enjoys sleeping anywhere but her dog bed, she does use it occasionally. If you have a dog that is likely to chew through bedding, make sure you choose something that is durable enough to stand up to it. And for our feline friends, a cat tower is a perfect way to provide your cat with a high vantage point. Most cats enjoy being able to survey their territory and are able to do this easily in high places. This giveaway is open to US residents age 18+ and ends October 1st at midnight CST. To enter the giveaway, just fill out the Rafflecopter form below. Good luck! And if you haven't entered the Hill's giveaway for $100 towards your pet's next vet check-up, just click here. They are giving away $100 everyday for 90 days. This post is sponsored by Hill’s and the Pet Blogger Network. 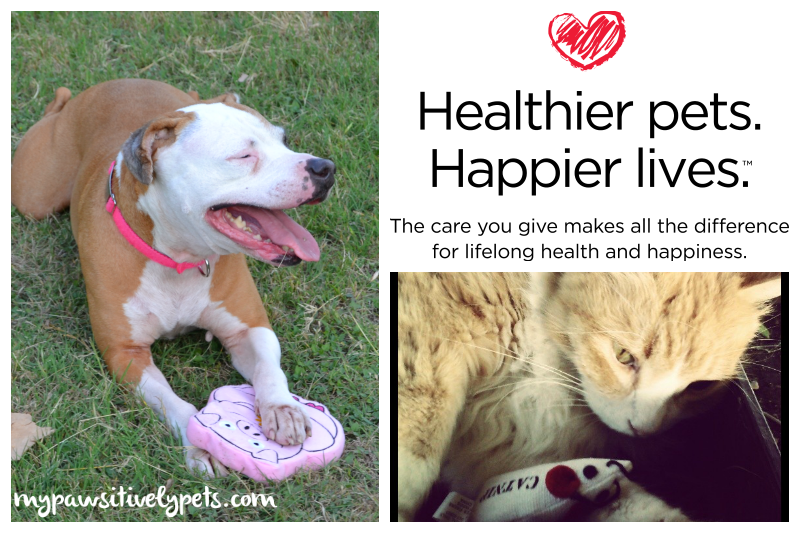 I am being compensated for helping spread the word about Hill’s Science Diet #GetHealthyHappy Campaign, but Pawsitively Pets only shares information we feel is relevant to our readers. Hill's Pet Nutrition, Inc. is not responsible for the content of this article. Yea, you kitties can be hit or miss with the collars. They do make those breakaway ones though. Excellent information! I’m a happy healthy cat. Great tip top tips on keeping healthy and happy. Have a marvellous Monday. Good luck to everyone who enters the giveaway! Happy and healthy is such a wonderful combination! Very great and wise tips, thanks for sharing! We take lots of walks together & play ! Albus loves when we walk around calling him, pretending not to know where he is. He runs up behind us and taps us on the shoulder. Such a funny cat. Fun is so very important. We hear that all the time at our classes as well. 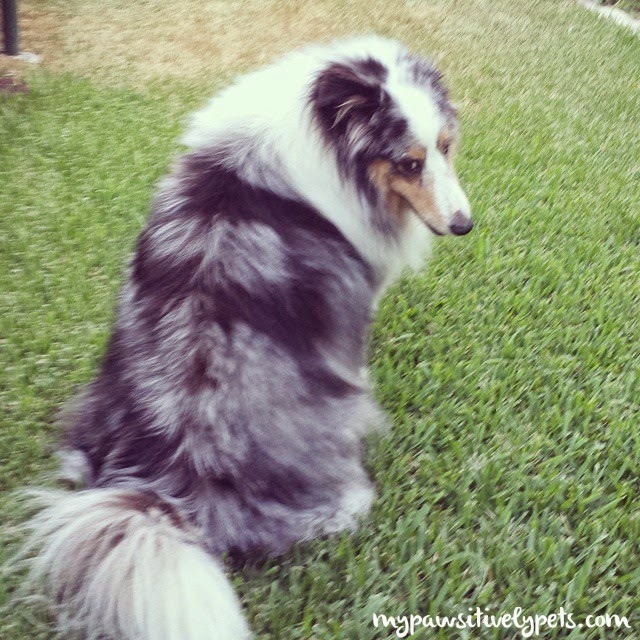 I keep my dogs' bodies and minds active through play and training. Harley loves to play. I am blessed with the little people in my neighborhood that take over when I'm too tired to continue. They pick up where I left off, so he gets his fair share. Great post with lots of helpful info for both woofies and kitties. Been meaning to stop by to THANK YOU for being our 200th follower - one of Team Beaglebratz' goals for this year. Yay! That is awesome :) Glad I was able to help you reach your goal. Now if I could only get mine to 200 lol. At least in the GFC box. I take my dog to the beach every morning so that she can run off leash and do the things that make her happy and healthy. And high quality food. I do love spoiling Bain. Great tips, I would definitely say he is healthy and happy just like Shiner. We take the dogs for walks, cook and bake for them when we can, give them healthy food and treats and they get lots of love, play time and attention. I give my dogs supplements and yogurt to help keep them healthy. I give my kitties fish oil supplements. Thank you! We have two cat towers for them to climb and play on and when trying to get my youngest cat to stop scratching the carpet we discovered he loved scratching my yoga mat. I no longer have a yoga mat, but it makes my little guy so happy to scratch the mat up!